How long should a round of golf take to play? 4 hours? 4.5 hours? How about 3 hours? The variables that contribute to pace of play are endless. Every player has different expectations and is our job is to set the expectation for every golfer that comes to Al Zorah Golf Club. Along with Troon Golf, we have rolled out a campaign designed to improve pace of play on our course and all Troon properties. 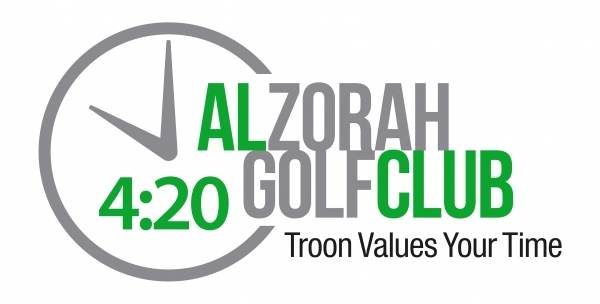 The initiative, named "Troon Values Your Time”, will help to inform our guests, even before stepping foot on the course, our goal is to provide a world-class experience that will allow you to plan your day and stay on schedule. Our golf staff will help to establish and maintain a time par of 4 hours and 20 minutes, a pace that is reasonable and achievable by all groups that play Al Zorah Golf Club. So book your rounds, enjoy the sunshine and comfortably arrive for lunch with time to spare! 1. Play Ready Golf (tee to green): When a player is at their ball or on the tee box and is ready to play, they should play. Take no more than 45 seconds to hit your shot. 2. Be cart smart: Drop off your partner and drive to your ball. When you leave the cart, take three clubs, not one. Park behind greens. 3. Use rules with discretion: Take no more than three minutes to look for balls and take relief. 4. Keep Moving: Proceed quickly to your ball and be ready when it's your turn to hit. 5. See it, read it, hole it: While others are putting, prepare for your putt. Go to the next tee. 6. Be accountable: Recognize that slow play isn't just other players' fault. Don't take this too serious, relax and enjoy your round!